When we sat down with the Roosevelt Institute Campus Network in early January, we walked away from the table both excited about their mission and energized with ideas for their new site. 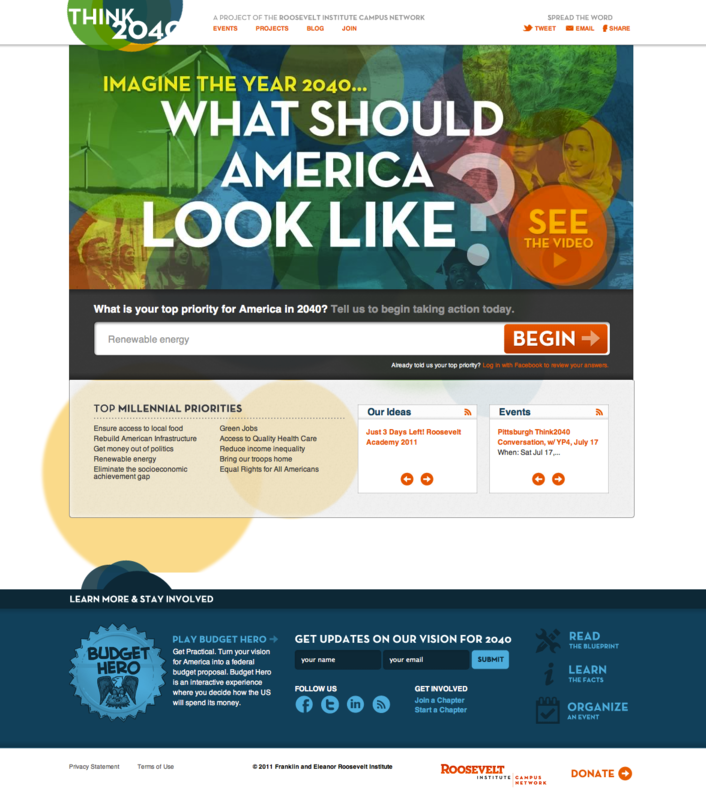 Today, we are proud to announce the launch of the redesigned www.think2040.org. 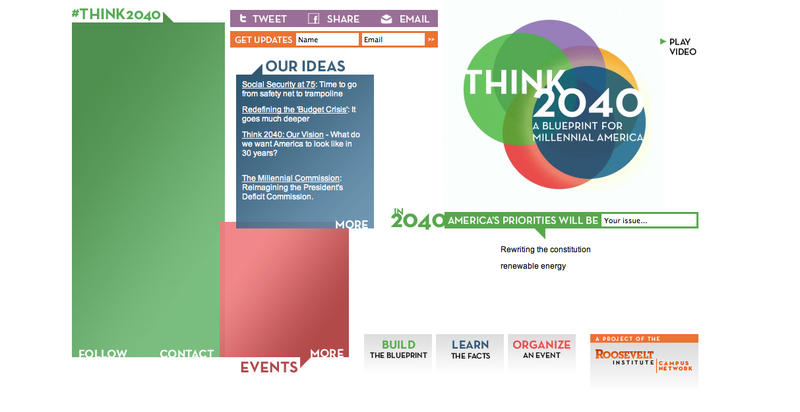 A project of the Roosevelt Campus Network, Think 2040 "empowers millennials to take an active, visionary role in re-imagining and building America's future." Viget partnered with Think 2040 to complete a five-week engagement, which included user experience design, visual design, front-end development, and custom Ruby on Rails development. The original Think 2040 page was pretty basic, and didn't include a lot of interactivity, as you can see. In the new design, we had some fun exploring a bright, vibrant design and playing with the latest in front-end development techniques. With full Facebook and Twitter integration, the new Think 2040 site will help the Roosevelt Campus Network start an online conversation about the future of America. Join the conversation at www.think2040.org.